The current school year may be coming to a close, but for a number of student-athletes it was a season-long wait for a chance to prove their talents. Baseball and the Wolves inaugural season for Lacrosse are just two spring sports that have churned out some dedicated players, two of whom celebrated their sport-inspired success, which they both committed to take to the next level alongside their further education. 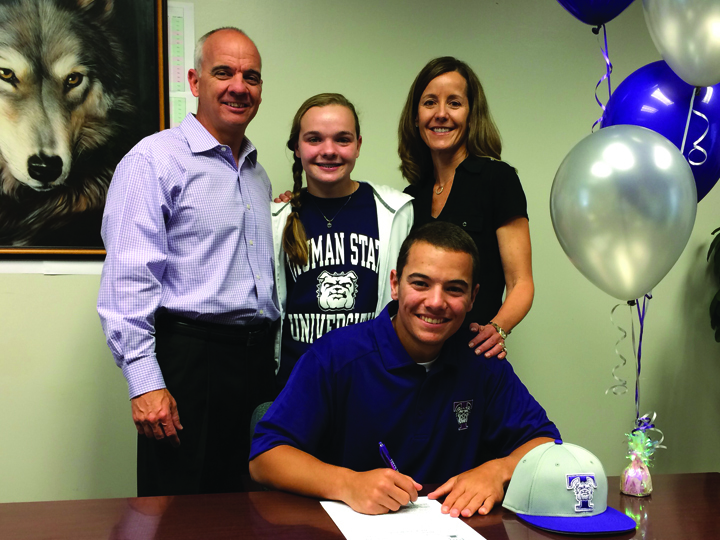 Joining the list of student-athletes who have earned the spotlight last month by signing their commitment to a university is Wolves baseball talent Adam Gregorich. Gregorich is a three year varsity starter and team captain, known for his dedication both on and off the field. With a current GPA of 6.28 he is a member of Student Government, National Honor Society, Spanish National Honor Society, was named to the principal’s honor roll every semester of high school and is a four-time High Academic Achieving Award winner. Adam is a Pershing Scholar (full academic scholarship including room and board plus stipend to study for a semester overseas) recipient at Truman State University, located in Kirksville, Mo. Newsome Head Baseball Coach, Bill Highsmith, said that with a .300 batting average and a great attitude, Adam is one of the best center fielders on the diamond. Former Major League Baseball pitcher and Manager of Ostingers Baseball Academy Select, Jim Osting also weighed in his player’s success. 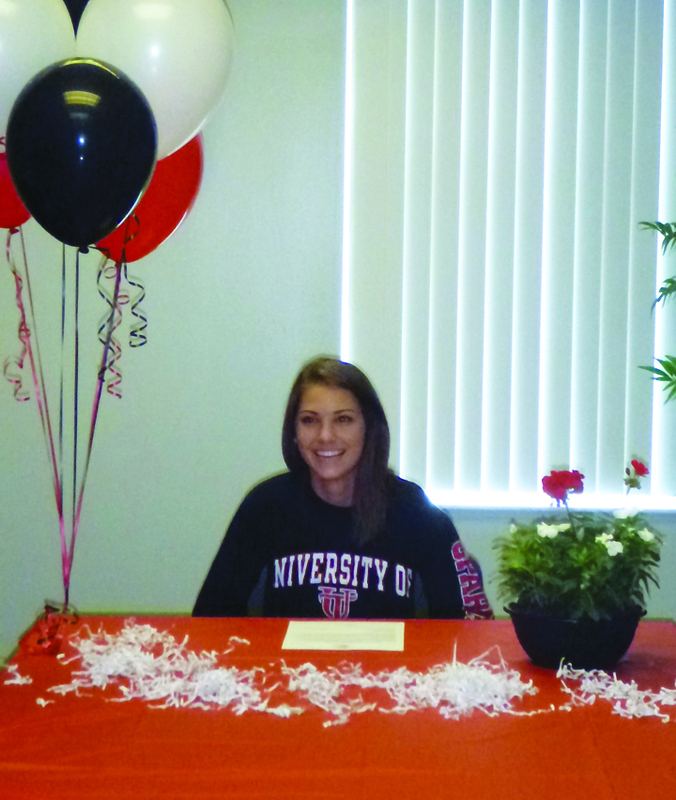 Newsome High School senior Jennifer Lanuto, has also signed her intent to play for the Spartans as a member of the school’s Lacrosse Team at the University of Tampa while pursuing a degree in Marine Science. Lanuto, a four-year starter and captain of the Newsome lacrosse team, reportedly exemplifies sportsmanship, the pursuit of excellence on and off the field and is known for her leadership among her peers, while she leads the team in draw controls, goals, assists and total points, promising to be great addition on the Spartan’s program. As a young athlete, she has also been an active supporter and contributor to growing the game of lacrosse by volunteering locally with the Fishhawk Coyotes as a volunteer coach, teacher and mentor to young ladies.